FareShare has launched our biggest ever food drive in a bid to collect 20,000kg of rice and pasta before Christmas. 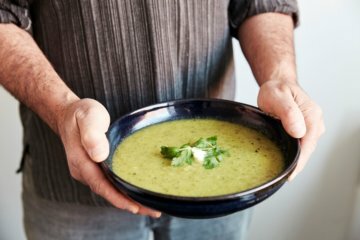 For every kilo of pasta donated, FareShare can cook eight free meals packed with protein and vegetables. A kilo of rice will stretch to 25 meals when other nutritious ingredients are added. 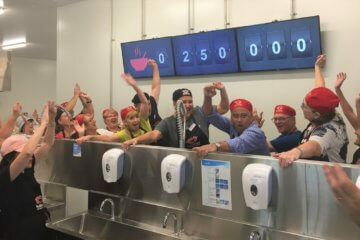 FareShare will use financial donations to buy rice and pasta at wholesale prices with NSM Foods in Brunswick matching rice donations to round off 104 balanced meals for just $10. FareShare is taking the message to the city on the 109 tram with a full tram wrap, thanks to a community partnership with Yarra Trams. Schools across Melbourne have been invited to join the mega food drive with 3 Apples Childcare Centre & Kindergarten in Balwyn and Andale School in Kew the first to climb aboard. Donating rice and pasta is simple. 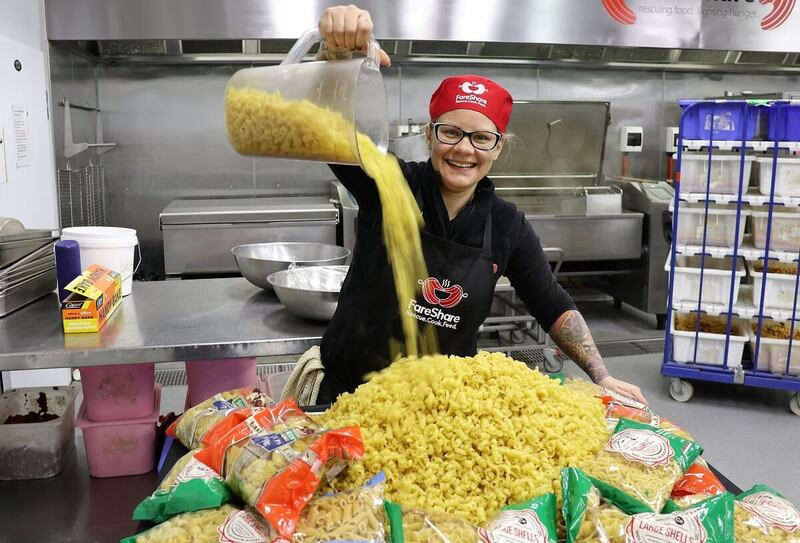 Uncooked rice and short-cut pasta, such as penne, can be dropped off at our Abbotsford kitchen where volunteers cook 5,000 free, nutritious meals a day. For food donations of 100kg or more, FareShare will send a food rescue van. Financial donations will be used to buy bulk rice and pasta at wholesale prices. Full details here. 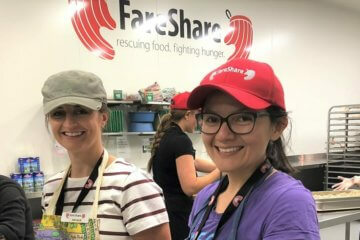 “We hope the campaign will enable us to cook 330,000 free, nutritious meals for soup vans, homeless shelters, women’s refuges, emergency food banks and other charities supporting Victorians in crisis by Christmas,” said FareShare CEO Marcus Godinho.